On-Demand app development helps consolidate multiple functionalities and high interactive features of on-demand delivery apps to cater better support services. How to build an On-Demand delivery app that perfectly caters to the customers’ needs? You love it or hate it, but the internet is eating the world. The dawn of mobile technology integration in the diverse industry verticals has brought a dramatic shift in the world’s economy and spoiled us. You must accept the latter impact of going mobile is not an overstatement at all. The mobile addiction is growing with the delivery of the products or services anytime, anywhere at the fingertips through on-demand delivery apps.TheUber, DoorDash, GrubHub, Postmates, and Airbnb are the pioneers that have reinvented the traditional business models with doorstep service delivery. Now, with the increasing popularity of on-demand services, new businesses are joining the race. The myriad of the business spheres is incorporating the on-demand business model to improve business growth, efficiency, and productivity, and pick up the pace with the changing trends. Are you one of them? Congrats! You are hopping onto the app bandwagon that’s guaranteed turn success to your business. The on-demand economy will grow to $57 billion by the end of 2018. The revenue from the on-demand sector is expected to reach a whopping of $335 billion by 2025. On-demand companies serve just 7%, that’s $758 billion of the US market, which means, still there is a lot of room for the new entrepreneurs. The spending on on-demand mobile apps has increased from $48 Billion in 2016 to $75.7 billion in 2017 which amounts to nearly 58% growth. It concludes that undeniably the future of the on-demand economy is bright and the businesses that take up this opportunity will shine. But, everything is not so rosy. 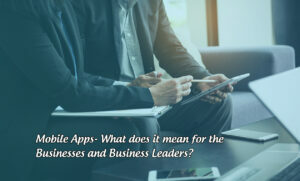 The businesses want their services to get to the customers’ house with on-demand app development have two options- either build the app from the scratch or consider the white label solutions. Both alternatives have their own advantages and downsides to knock the customer’s door. But, the businesses that give more importance to the quality, convenience and customer experience over the budget, the custom app development is best bet. With the custom on-demand solution, the businesses can sync the app with their brand offerings and create the app that perfectly fulfills the customer’s needs without glitches. However, white label solution also comes in handy for the businesses out-of-pocket, but customizing the app to the core is non-viable. 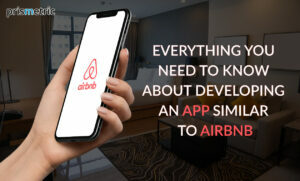 The foundation of the on-demand application is built on the top of the convenience, and if the key trait is missing, the customers no longer find the app usable. The app should be easy to use, perform at speed, and provide the services effectively at the customer’s doorstep just in a couple of taps. Such experience relies on several factors such as account creation in a couple of seconds, hassle-free login (Social login are preferred), bespoke interface, seamless navigation, multiple payment options, fast checkout, browse order history, check order status during shipping from order pick-up to drop-off location, and so forth. The reasonable features that add convenience are the inherent part of the outstanding app, which doesn’t require the customers to learn how to use the app. Taking a step further, the automatic matching algorithm can be incorporated into the app which renders personalized suggestions to the customers right at the moment the customers are making the purchase. The instant suggestions delight the customers because they route them to the offerings that they want to buy. Every business has many segments which must be decided at first to define the audience that on-demand food delivery app will target. For instance, the food delivery app comprises many services such as grocery delivery, diet food delivery, junk food delivery, or prepared food delivery, which must be chosen before crafting the app because each option won’t fit the bill for the wide audience having diverse needs. Here, separately building grocery delivery app like- Instacart, diet food app like- Goodmeal, or a food delivery app like- UberEats makes sense. It enables the business to target the right audience, meet their needs aptly and let the brand known by its offerings. When your app is dealing with tangible product delivery, the customers definitely want to know the ordered product status. During shipping, with location-based services integration, the customers can be provided with the ability to track the service provider’s location in the real-time. The tracking process maintains the transparency and assures the customers for the product delivery as they are aware of how long it will take to get the order delivered. It builds a strong relationship with the customers. No matter if the businesses are providing the services to the customers for a limited time period, but the customers expect customer support services availability 24/7 to resolve the queries. Incorporating the customer support services round the clock within the app makes it easier for the customers to connect with the service provider and get answers to their problems off the bat. The instant communication and convincing response make the customer feel that the service provider is at arms distance and value the customers. The army of delighted customers gives a competitive advantage to the on-demand app. Any effort involved in the in-app customer journey never gear up the customers to use the app again. After spending a lot of time browsing and shortlisting the products, if the checkout process is too long and include the number of fields, the user immediately abandons the cart. In order to reduce the cart abandonment rate and enable effortless payment, the number of fields must be kept minimum, an array of payment options should be included, the plugins must be installed to make the transaction secure, and automated payment can be implemented using a system like Stripe, which in turn, delivers an exquisite experience to the customers. 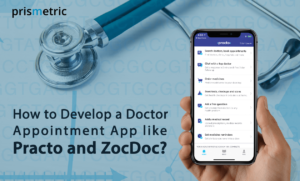 In the competitive marketplace, there are a plethora of apps that offer similar types of the services which your app offers. It uplifts the chances that your app may be forgotten after installation. It’s necessary to bring back the one-time customers to increase sales. With custom notifications, the customers can be reminded of the app existence on their mobile and the exclusive services that the business provides. Besides, when the push notifications tailored to the customers’ browsing behavior patterns, buying history, and demographics, or about new arrivals, offers, and discounts are sent, it adds a personal touch to the customers and then retaining them becomes easier. The privilege customers who have shown patronage to the app, they deserve to be rewarded. It’s a brilliant in-app marketing tactic that has surprised the businesses with unexpected results. Also, it won’t cost the businesses a fortune to offer coupons, add loyalty points, free shipping or extra discount on the products and services as compared to the sales volume it increases. The businesses can create a buzz among the loyal customers, and motivate them to come back and make the purchase through special loyalty programs, extra loyalty points, and exclusive offers. It engages the customers in the shopping and help in nurturing the relationship with the loyal fanbase. With an entrepreneurial mindset, you are thinking about the products to get purchased by the customers as early as possible. But, the idea is feasible only when the products offered with the on-demand app are set in rhythm to the customer’s needs. What all the modern customers crave for? They want the products or services to browse, purchase and get delivered to their doorstep at the comfort of the couch and zero frustration. The quality, convenience, and speed are the three elementary factors whose availability can make the on-demand app go further and knock the customer’s door faster with better services. This is exactly the way the on-demand economy works. It’s a precise estimation of the on-demand app where including all the ingredients that add to customer convenience and utility lets the app outgrow, outperform and outshine like Postmates. Get your app built and market wearing the customers’ lens to mitigate the risks of not standing up to the competition and customer expectations. Do it perfectly! 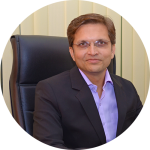 With in-depth knowledge in International Business Management and Information Technology, he can effectively craft business enhancement strategies and can skillfully untangle technical complexities. Writing about the new age technology and sharing his thoughts on the continuously evolving business trends keep him content.